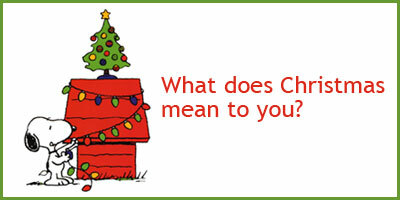 What does Christmas mean to you? Making mince pies and gingerbread men, wrapping presents by the fire whilst watching Christmas movies, or simply spending quality time with your loved ones? Everyone has their own traditions, and the great thing about Christmas is that you can make new traditions as the years go on. I believe Christmas is a time to spend with all of those people who you don’t get the chance to see throughout the year, doing things as a family and enjoying each other’s company, and I especially feel this is the perfect time of year to be creative and use your imagination! There are so many ways in which you can do this, making special ornaments, Christmas garlands, wreaths or home baking, there is always a way for each and every one of us to show our creative Christmas edge. From being young I have always made my own Christmas crafts, from Christmas cards to gorgeous holiday calendars for the oldies; it has become a tradition in our home to make Christmas treats. Despite this being a great way to bring the family together, you are also showing that you believe in the spirit of Christmas. This was one of my favourite things to do as a child, and can be equally as fun as a grownup; all it takes is an empty jam jar, some mini figurines, glitter glycerine, (Which is actually easier to get hold of than you think!) and some enamel paint, and in no time you have your homemade snow globes! Christmas Cards and Calenders As we are all about saving the environment, this year we have chosen to make our own Christmas cards out of old wrapping paper and ribbons which were too beautiful to throw away from previous years. All it takes is a piece of plain card, some ribbon and a beautiful pattern from an old piece of wrap to make stunning Christmas cards. Granted this does take some organisation, however it wouldn’t cost much to buy a role of wrap and use your creativity to turn it into something special. If this isn’t your thing, why not use pictures and photographs of your family to include in your homemade Christmas cards or calendars. Wooden Letters As long as an adult is present in the making of this Christmas craft, it can be one of the most rewarding and beautiful homemade crafts. By using old wood found in the garden along with a sharp saw, you can turn almost anything into gorgeous Christmas letters, a couple of coats of gloss paint and you have something which has cost a fraction of the price that it would have cost to buy in a store. There are many more Christmas crafts that I love, but as Christmas is the time for sharing why don’t you tell me what your favourite Christmas craft is?! Disclosure: All opinions are my own. This was a sponsored post. Compensation was received.